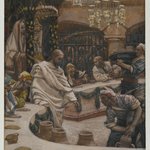 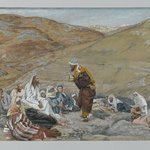 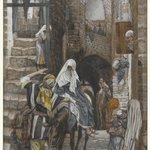 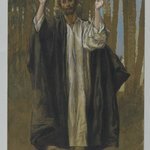 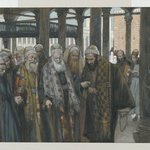 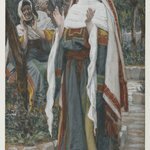 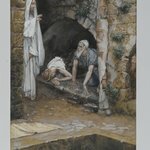 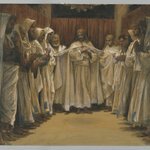 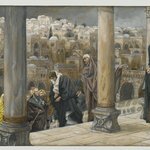 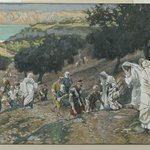 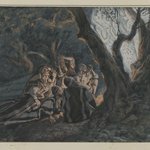 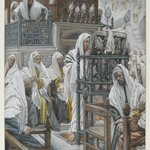 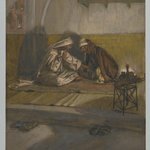 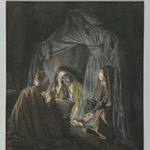 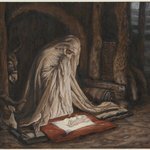 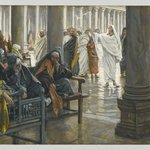 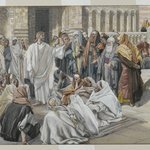 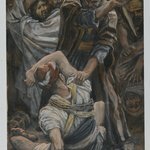 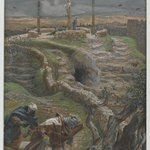 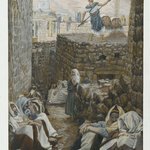 Drawing on a story from the apocryphal Protoevangelion of James, Tissot depicts the expectant mood in the Temple as eligible bachelors await the sign that will determine the identity of the Holy Virgin’s betrothed. 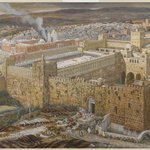 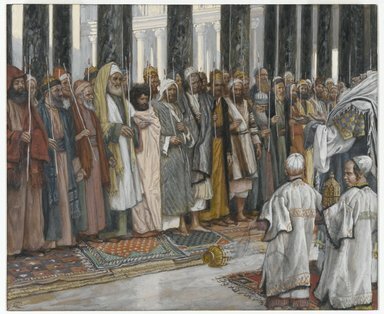 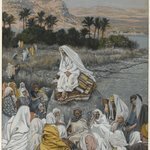 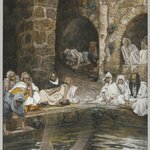 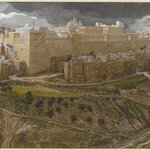 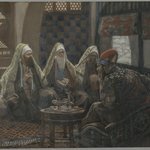 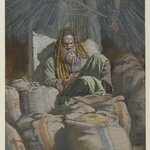 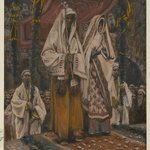 In Tissot’s image, the high priest emerges from an inner sanctuary into a richly appointed area with patterned rugs and marble columns to give each man a staff. 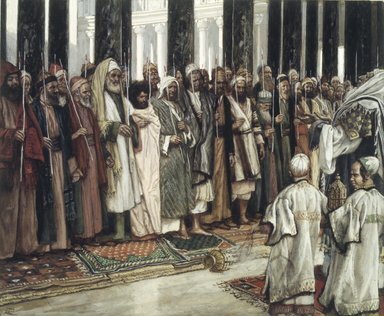 Ranging in age from fresh-faced youths to white-bearded old men, the suitors look expectantly at the priest as he raises his hands to the heavens in prayer. 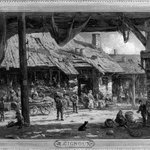 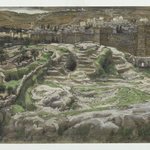 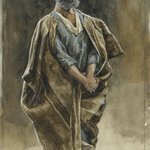 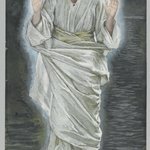 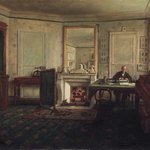 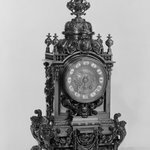 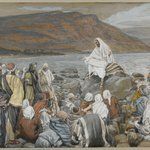 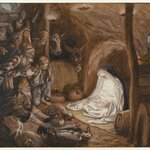 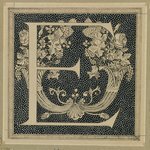 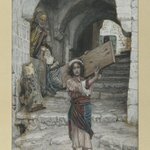 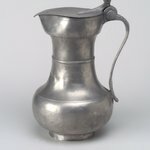 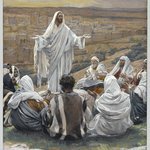 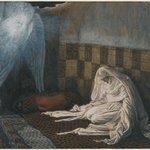 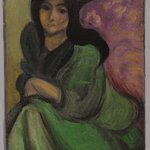 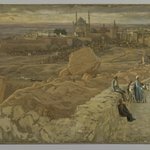 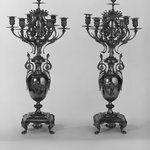 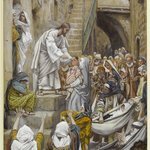 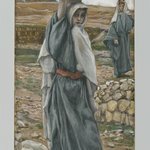 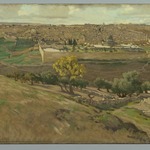 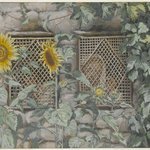 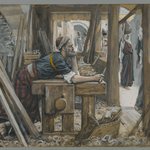 Reserving the conclusion of the episode for his commentary, Tissot recounts that when the reluctant suitor Joseph received his staff, a dove sprang forth and soared up to heaven, heralding the carpenter’s role as earthly father to Jesus. 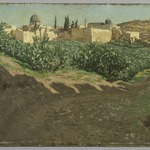 The young boy seen in profile in the right foreground makes frequent appearances throughout the chronological span of the narrative, from the Holy Childhood to the Passion, signaling the artist’s interest in populating his images with quintessential ethnic “types” found in the region (see illustration). 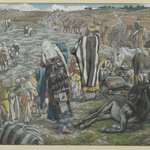 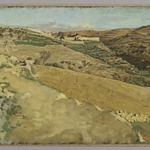 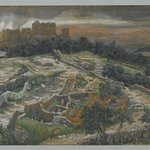 The boy’s sidelong glance toward the picture plane and the vacant wedge in the left foreground of the scene, which suggests an unimpeded avenue of access, draw the viewer into the event, underscoring Tissot’s aim to make his viewers witnesses to the narrative.